The maximum group of people per tee is 4, anyone who does not respect this maximum number, can be expelled from the course. Each player has to respect the rules of etiquette that are required on the golf course. You have to respect the game of the other players, and give way in case of slow play to the players who come behind. Access to the course is not allowed to anyone who is not a player, as it can be dangerous. Please pass the rake through the bunkers, repair the divots and respect the course. You can’t enter to play a ball that has invaded the fairway of another hole, without warning. We ask you to leave the trolley off the green and always leave it in the exit zone to the next hole. Respect the course and its facilities, leave everything as you would like to find it. Use of a driver and/or wood is totally prohibited. The access to the practice area is free. Once the practice balls have been obtained, you can only use them in the practice area, NOT on the putting green or in the approach area, much less on the course. It is completely prohibited to enter the field of the driving range to collect balls. It can be dangerous for you. Please don’t shout and/or speak in a loud voice so not to be annoying to other clients. The use of the driver and/or wood is totally prohibited. Dogs or other animals that may damage the condition of our facilities are not allowed. It’s prohibited to access to our facilities with bathing suit. Men will not be able to play with tank tops. It is not allowed to go out in the field with shoes with heavy grip, sandals, shoes with a heel. Play with a single ball. Maximum output of 4 players. It is totally forbidden to play with practice balls. The Course can be closed for a period of 10 days for works or improvements in its facilities, giving 10 days’ notice on the bulletin board or at reception. 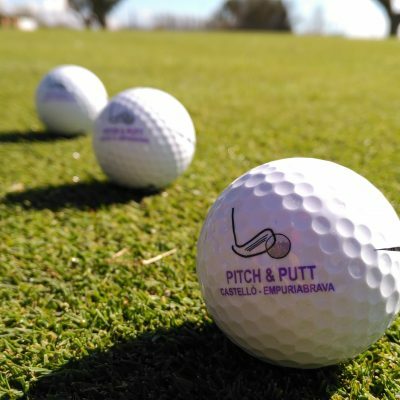 Pitch & Putt Castelló Empuriabrava reserves the right to close the facilities or to make a special schedule for the indicated holidays on the bulletin board or reception at least 15 days in advance.